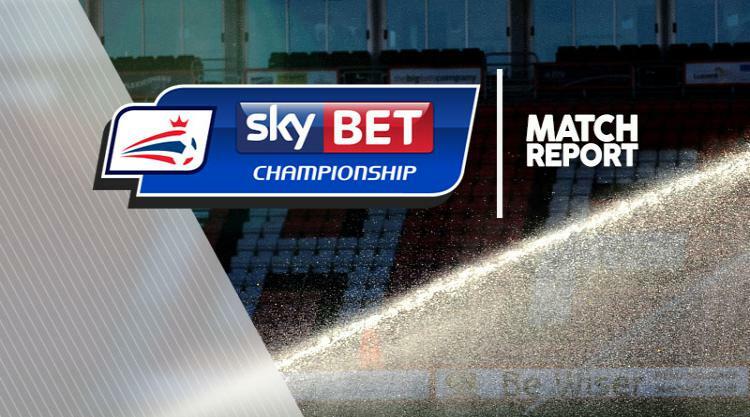 Struggling Wigan held play-off chasing Preston to a goalless draw at the DW Stadium in a Sky Bet Championship encounter desperately short on quality and chances. Preston only had themselves to blame for not picking up all three points, having been awarded a penalty inside 10 minutes. But Wigan goalkeeper Matt Gilks - making his home debut - kept out Jordan Hugill's spot-kick, before denying the North End man from the rebound as well. Wigan struggled to get anything going at the other end, with North End goalkeeper Chris Maxwell a virtual spectator. The home side started the brighter and Omar Bogle showed impressive pace down the left to beat his man and fire in a shot that Maxwell could only parry away. Hesitation in the visitors' defence almost allowed Bogle in again, with Preston happy to concede a corner which was hacked away. North End threatened when Daryl Horgan picked up the ball midway inside the Wigan half, and advanced on goal before firing a shot well wide of the mark. But they were gifted a gilt-edged opportunity to open the scoring with only nine minutes gone. Bogle was adjudged to have clipped Callum Robinson just inside the Wigan box, and Hugill placed the ball on the spot. The 10-goal striker's first effort was saved by Gilks, diving to his left, and the Wigan goalkeeper did ever so well to regain his feet and pouch the rebound from the same player aimed at the opposite corner. Wigan were energised by the let-off, and Will Grigg's lay-off found right-back Callum Connolly, whose effort was only just too high. The on-loan Everton man tried his luck again midway through the half, after good work from Ryan Tunnicliffe down the left, but again it was off target. At the other end, a nice move from North End saw Aiden McGeady feed Robinson, but the shot was weak and did not trouble Gilks. A late challenge from McGeady on Shaun MacDonald led to a few handbags in centre-field and a yellow card for the North End man. Wigan would have been the happier to get to the break at 0-0 and the visitors picked up where they left off after the restart. Ben Pearson engineered a decent shooting opportunity for himself 25 yards out, but again the effort was wide of the mark. Connolly was again looking like Wigan's most likely man to score, but again he could not force Maxwell into action from the edge of the box. It became increasingly apparent that one goal was probably going to settle an affair that was very light on genuine goalmouth action. And that almost arrived with 14 minutes to go, when Bogle thought he was clean in on goal after a neat passing move. But North End defender Greg Cunningham came out of nowhere to pull off a fabulous block - and ensure honours remained even.